I am excited to share my new tutorial with everyone. This is one of the headpieces I made for my friend in the Miss Ethnic World Pageant. It was a lot of fun to design and make this piece. I am glad to say it was pretty easy too! 1. Cut a 2.5-3″ circle from felt. 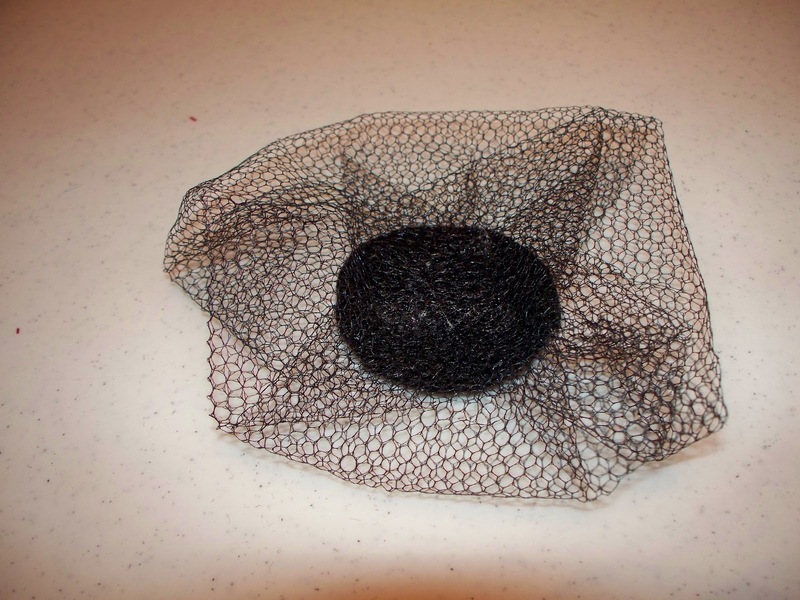 Take netting or tulle an fold it making an almost square/circle shape. Glue this to the felt circle. 2. 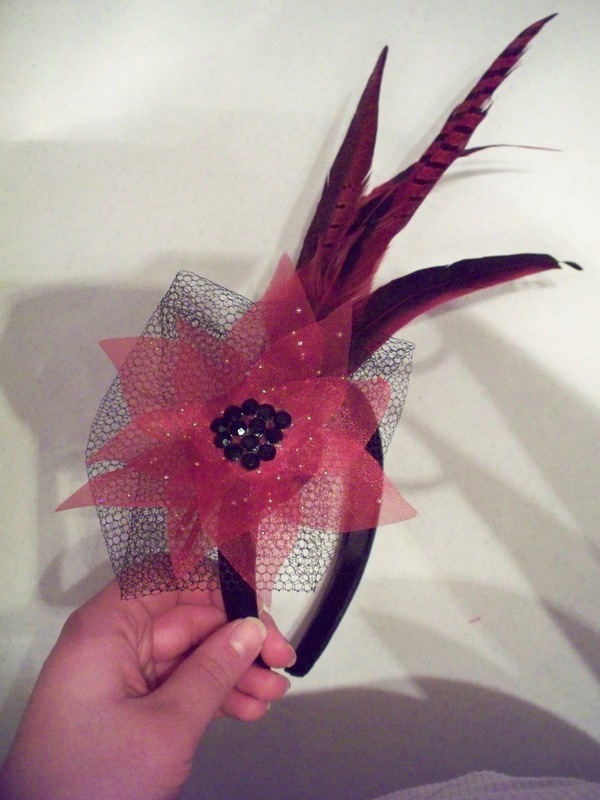 Glue onto the headband, backside of felt circle to the fabric loop of headband. Play around with different positioning before gluing down to get the best placement for you. 4. 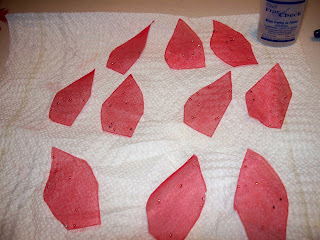 Before I cut out my organza petals I spray starched the fabric. 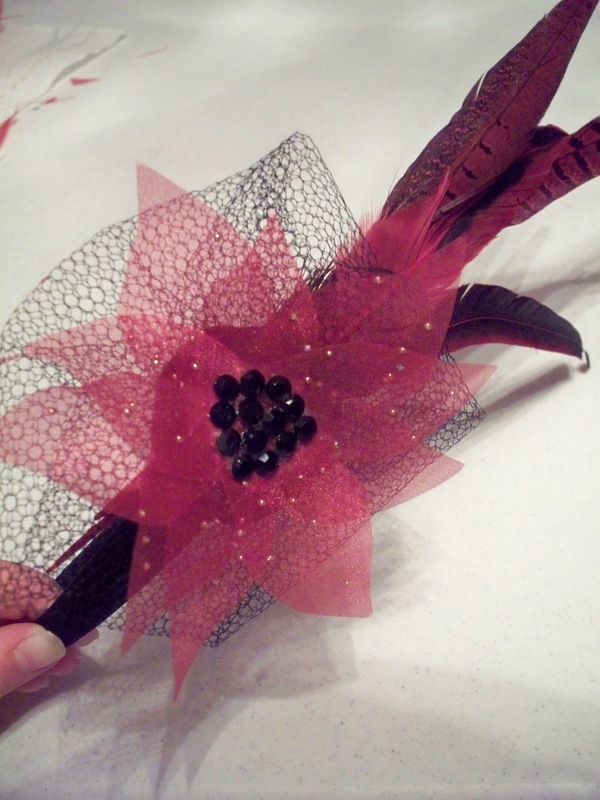 This added a little extra stiffness to the organza. 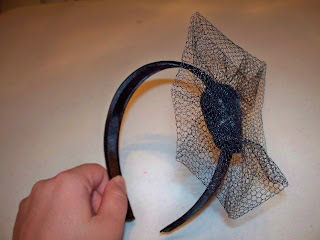 This is optional depending on your preferences for your fascinator. After the starch dried I cut out 10 petals and Fray Checked the edges of each petal to help prevent the organza from shredding apart. 5. 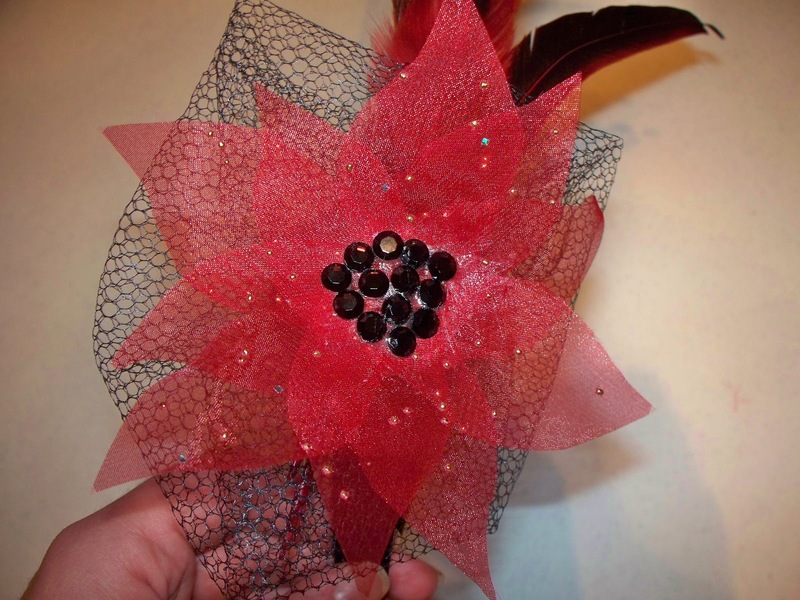 Once all dried arrange the petals of your flower and glue them together one at a time. Take the organza flower and glue it to the felt circle on top of the netting/tulle. 6. 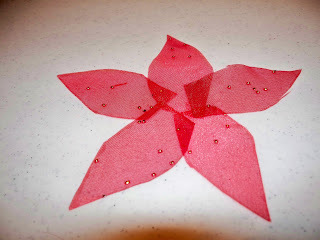 To help hid the glue in the center and give it more of a flower look, glue rhinestones on top. You can also attach the rhinestones to the flower petals. Since my organza has sparkles and gold on it already I didn’t feel this was necessary this time. And voile, you have your very own facisnator but at a fraction of the cost. 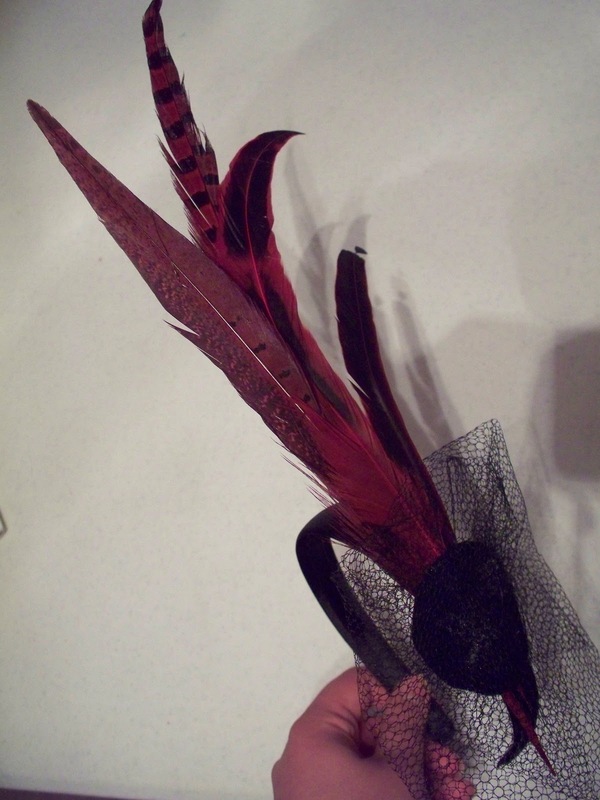 Overall it cost me $15.00 to make this. The feathers I did order on Ebay from a fantastic seller in China. 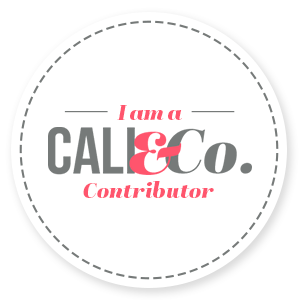 At first I was a little hesitant to purchase from a foreign country because I like to try to practice buying local and handmade when possible. 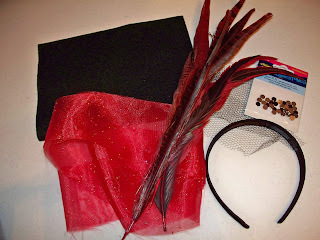 But I was unable to find feathers like I wanted anywhere here. The seller I bought from is beautifulli528, and she has a store full of any colored feather or feather embellishment you could possible need. I have actually bought a couple additional items as well. She reasonable shipping too, which is nice since they are coming from China.